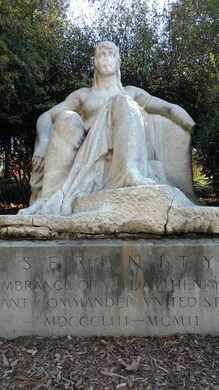 The Serenity Statue in Meridian Hill Park looks anything but serene; its face appears to have been mauled with a hammer, and someone’s smashed off a hand and a toe. 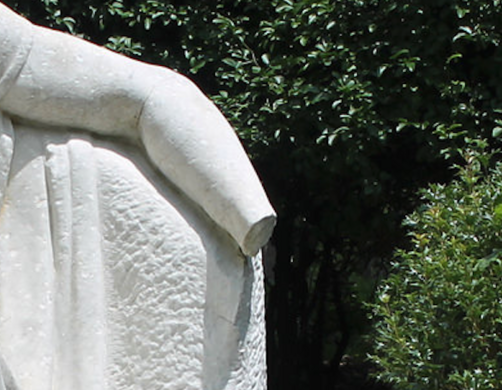 A lack of upkeep hasn’t helped matters, with a huge crack developing between the carrara marble statue and its base. 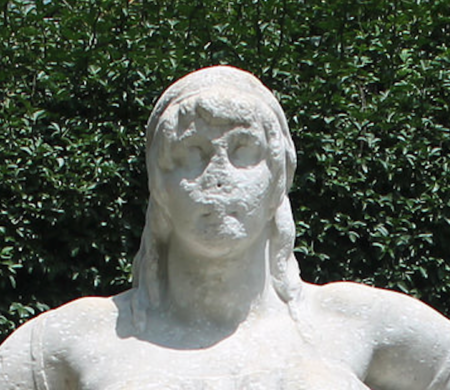 Monuments in Washington, D.C. are frequent targets of vandalism. Bronze ornamentation gets bent, names are tagged, and stickers stuck. But none have had as much abuse heaped upon them as Serenity. It got so bad that the Park Service gave up making repairs years ago. 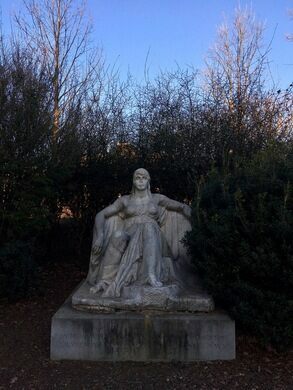 The statue was first placed in 1925, and within a year the Washington Post was reporting that “red paint has been applied to various parts of the anatomy.” Every few years another article would come out bemoaning the latest act of destruction, and they keep coming to this day. 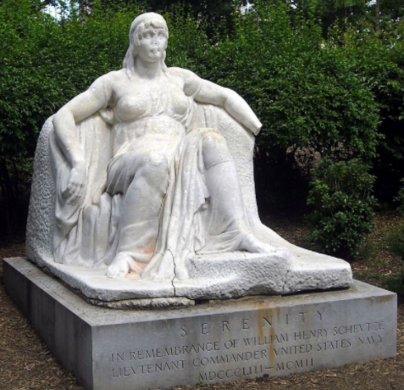 Serenity is an allegorical statue that honors an obscure naval officer named William Henry Schuetze. Schuetze passed away in 1907, but if he were to look upon his memorial today he might point out with annoyance that his name is misspelled in the engraving as “Scheutze.” This isn’t a particularly controversial statue, however; Serenity simply makes an inviting target because it’s located in a secluded corner of Meridian Hill Park that is shielded by shrubbery. In all likelihood, the decades of vandalism are random acts of destruction committed by neighborhood boys.